"I used GREEN MAN EXTERMINATOR. He was very helpful. Took care of a nasty bee nest hidden under the deck. Offered professional advice on how to avoid reestablishment of a new nest." "I had an exterior treatment of my house to combat carpenter ant infestation inside the house. John responded promptly when we arrived at summer home to find countless ants inside. He found outside next/colonies and treated them directly as well as perimeter of house. Used reportedly all green products. 2 months later yielded great results inside." "Green Man provided exterminator service, arrived my entire home in PA. They are professional and honest. They arrived as soon as promised, explained the process and completed the job. Showed medicate results. I will continue to use them. They are really a good company and will be shared on Band of Neighbors." "Carpenter and spiders also mice. Inspected house yard, & out building. Told me what my problem was, and treated whole area. I would share on band of neighbors." "Pest eradication - attic squirrels and raccoons. Outstanding service - very knowledgeable about using ingredients w/o damaging the environment." "My tenants moved and left me fleese in the house after i told them no pets allowed. I want to rent the house asap and i was affraid the chemicals of the exterminator would linger for a long time so i decedided to call Green Man Exterminator as his products are all natural and he told me that the house will smell like xmas! I COULDNT BELIEVE MY EYES!! FLEESE MELTED AWAY! he also sprayed carpenter ants outside the house ...they all died within seconds. This exterminator is the best!! and my house smelled like exotic oils. I trully couldnt believe my eyes! I wish i found him sooner. Do not waste your time with other exterminators that use harsh chemicals next to your family...call green man exterminator!!" "He is a green exterminator and does not use toxic products. He did a good job of treating our wooded land for bees and ants. He is responsive and cares about the quality of his work. I would hire him again." "Something was biting us, my doctor said it was fleas. I know what fleas look like and it was not that, these bugs were smaller. So I called three different pest control companies for inspections. The first two were of no help. Green man knew what it was by the bites and found the nest, it was many years in the making and filled up about 4 feet of soffit. He said it was a fairly common problem, when birds fly away and leave the nest the mites crawl in and bite people. Mites and bird nest is gone and my whole home was treated with a non toxic cinnamon spray. No chemical worries with kids and pets running around. Happy to have found John and his company. 5 big stars." "Carpenter Bees had invaded my son's playground set leaving large holes in it. John arrived & did a walk around my house & playground structure. He pointed out that carpenter bees had also begun to invade a small section of my porch as well as the playground set. John explained the process & products that he was going to use. All of the products he used were GREEN. This was very important to me given that I didn't want chemicals used. He then filled in the holes made by the carpenter bees. For no additional costs, John also sprayed the perimeter of my house for spiders since I had way too many. Well happily 3 weeks later, I am no longer walking into spider webs across my entry walkway. The playground set looks fine but I guess next summer & next Carpenter Bee season will be the true test to make sure the pesky insects are gone. I highly recommend Green Man Exterminator & feel terrific that I was able to address my "buggie" problem without needing the use of harmful chemicals." "Excellent work - I was pleased with the service and the responsiveness. I called Green Man based on the comments from Angie's list and he exceeded my expectations. I needed help with carpenter ants and spiders. He was very thorough and took his time listening to my concerns. I signed up for a service agreement but did not feel pressured to do so." "I was REALLY confused as to who I should call for our groundhog problem. Having 2 dogs & being concerned for their health, They seemed the most logical choice & I'm quite happy I called. I first spoke with Kathy to set up an appointment. Kathy was friendly, polite & very helpful, a pleasure to speak with. John (exterminator) was extremely professional, personable, respectful & very helpful with tips to be more "green" with regards to pest/critter prevention. John KNOWS his stuff!! Not only did he arrive on time, he entered our house & removed his work boots, so as not to track in yard dirt. We felt the estimate he gave us was more than fair (he actually charged us LESS than his original estimate, which was a nice surprise!). John came to the house to remove & set up cages daily & successfully caught 1 adult & 4baby groundhogs, plus 3 baby possums! He also repaired 2 large holes caused by the animals. It's been 1 week & we haven't spotted any groundhogs!" "Greenman services sprayed my lawn with the nematodes this spring to kill fleas/ticks. I had a tick problem and now it appears to be gone, keeping my fingers crossed. I am enjoying my yard again thanks to greenman pest control. I wish I knew about this before spraying up my yard all those years." "We rent and this house became so infested with mice we thought we might have to move... John came in with natural pesticides & brought our lives back to normal... no more sweeping and bleaching... putting food up high... washing cooking items before using them. He screened and plugged all our outside holes and showed us people do care. Him and his wife can not ever understand the releif they brought to us and the price for all he did was so low it was unbelievable. I would never recommend any other exterminator other then him. Thank you Mr. and Mrs. Smith!!" "Pest Control/Exterminating: Filled holes & sprayed outside of home (log tyre home) with non toxic materials for carpenter bees which was causing damage. Also sprayed for spiders. John exceeded all off my expectations. On time, courteous & knew his job. We will highly recommend him to family & friends, hard to find someone of his caliber." "We HAD (operative word here) a problem with carpenter ants in our roof and thought we were in for a toxic and expensive ordeal. Finding this service online, we weren't sure what to expect. What a godsend! John was at our house within 3 days of our phone call, inspected the house inside and out and treated in little over an hour. The all organic treatment smelled like Christmas-time baking, was very reasonable in cost and is guaranteed for 1 year. The fact that it is green is a real bonus and very comforting to us and our dog. John is very knowledgeable about his field and very personable to boot! Word of mouth from personal experience is probably the best advertisement you can get for your business. John Smith deserves a 10!" "Extermination and prevention was performed for carpenter ants, snakes and spiders. The whole experience was great. The gentleman, John, was very professional, courteous, and patient. He arrived on time, took his shoes off in the house without asking, explained what he was going to check for and what he was going to do and provided an estimate that was fair and acceptable. The fact that the extermination application is all natural and non-toxic was a real plus and I would HIGHLY recommend giving them a call if you need extermination." "Green Man Exterminator did pest control for me. I signed up for a four month program. They did a great job. They use natural products as opposed to strong pesticides. They are very thorough and go above and beyond. They are prompt, curteous and professional. The service has gone well. I would recommend them." 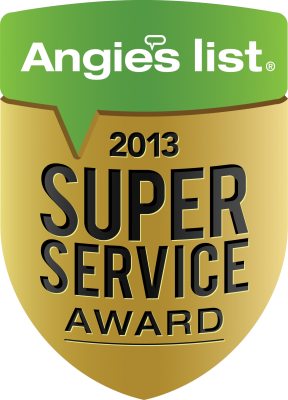 "After using traditional exterminating services for over a decade, I never thought organic pest control would work. Well, Green Man Exterminator sure changed my mind! Not only are their products organic and totally safe for the environment, my family, even my dog -they work better and longer than anything ever used in my home before. On top of that, their prices are less than half of what I was paying before! Give this company a shot! You won't regret it!" "They did an inspection and maintenance. We have a new home and a dog, it's flea & tick season and we liked being able to have preventative measures performed without pesticides that are dangerous to our pet." "Bug problem in the house from outside. He came and used DE earth powder, an environmentally safe product, even safe for pets. Came when he said he would and explained the work as he went along, He was very personable and respectful. He returned in a few weeks to do a recheck, he called us to schedule the appointment, we did not have to call him. I would hire Green Man Exterminator again. -Old Forge, PA"
"I recommend Green Man Services for you and your family. I have been spraying my lawn yearly in the spring for springtails/snow fleas to no real success. John came by and wiped them all away with a non toxic spray. I didn't have to worry about tracking poison into my home or getting sick. He charged a fair price and works hard at what he does. I did not see one snow flea that was alive on latest inspection. The Woodwards Eagle Lake." "I traveled to Florida with my family and must have brought bed bugs home with me, my house is very clean. Several estimates were in the two thousand dollar range and I had to leave my house for a few days. Thank goodness I found Greenman services. He charged MUCH less and explained everything to me in full. I loved thatmy family and I wold not be breathing in chemicals for the next six months. No more bed bugs or bites, he just did a free follow up inspection. Thank God for him!! We could not be happier with his treatment. He even steamed all of our suitcases. Would recommend him to anyone. Mrs. Eva Gonzales and family." "My wife and I were terrified at the sounds coming from our attic, it sounded like lions up there. John came out and said it was raccoons by the feces and found out how they were getting in. He caught all of them in a few days using eggs! He then cleaned up everything, screened the hole and replaced some of the damaged insulation. I recommend this company for wildlife control. He did a fantastic job and is a nice guy who loves his job. I will have him back over the spring and summer for ticks on my lawn that I have been trying to kill for years. He said there is a green method that works, looking forward to this. Brian & Kim." "My house was infested with Mice and my basement was full of mouse turds. Since John came here there has been no new droppings and my dog & I are getting a good night's sleep. He is not barking at the kitchen cabinet during the night anymore. He even called back to double check on me to make sure that everything was ok, and it is. Everything that he used was organic and safe for me and my pet. I highly recommend him. -570.839.2938"
"My hubby and I were extremely paranoid to get this exterminator to come to our home. The owner truly does come out and do the work himself. He's very respecful and actually explains everthing thouroughly so that you understand exactly what his plan of action is to take care of the problem. He guarantees his work with a contract that he provides you with just in case your not satisfied or you still have a problem he comes again with no additional charge. We are very blessed to have been fortunate enough to have hired him for the job he did a wonderful job. I honestly still cannot believe it. These reviews are real customers as I know that now because I'm submitting ours. He gets a 10 in my book and I would highly recommend him to anyone also he's affordable. Thank you for coming to our home and doing exactly what you said you would do. Very much appreciated."